Have you ever had to step right out of the shower into a freezing cold bathroom? Then onto freezing cold tiles, and then grabbed a freezing cold or damp towel to dry off with? 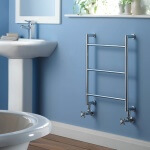 And that’s why many people are on the hunt for the best small towel warmers the market has to offer. These luxury technology options used to only exist in the world of high-end spas and luxury hotels. But they are now available to pretty much anyone and everyone willing to spend at least a little bit of money on the ultimate convenience and comfort upgrade that you can squeeze into any bathroom. And in order to better help you find the very best small towel warmers, I’ve put together this quick breakdown. This product does precisely what you’d expect. And it even exceeded expectations of many! It’s also my favorite on this list of the best small towel warmers. Your towels will get hot. And you won’t have to wait hours in order to have hot towels ready. This is perfect for those who have a quick moving steady stream of clients. And need to keep hot towels coming out. You could buy a larger model, but why spend the money, right? But there is a small warning regarding the quick warming feature. While this is a very appealing feature when you need to warm up your towels quickly, you may find yourself needing to adjust the temperature to keep up! As with all things, the more you use it, the more quickly you may have to replace things, particularly UV Bulbs. Be mindful of your usage, turn off when you’re not using it. And this device will be a trusted member of your business for a while. Another good product suggestion for you. 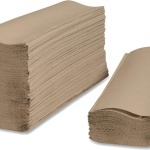 For salons and spas, it’s important that you offer your customers a hot towel. And this hot towel cabinet doesn’t disappoint. Not only does it get your towels warm, it gets them warm FAST. This model also has a larger capacity than most other small models. It can hold about 24 facial washcloths. And the warmer itself is still relatively compact with a sleek design. That way, it will fit in with your motif without being an eyesore. This warmer unfortunately does not have an automatic shut off feature. Once it reaches the desired temperature that you set it at, the machine will maintain the heat without going over the temp designated. However, at the end of the day you should be mindful to turn off the power. It’s perfect for small salons or tattoo parlors. This device has an automatic heating element that can keep your towels warm and sterile to prevent mold and mildew. There is one small issue that you may see with this. It isn’t large, by any means. It’s more for a smaller business that has the need for warm towels. If you have a larger capacity; you may want to upgrade. However if you’re a small niche spa business that wants to offer your customers a warm/hot towel, then this is a perfect choice. That means it wouldn’t be a huge concern for startups or those who don’t have a large budget. This towel warmer proves that you don’t have to have a lot of money in order to get a good quality product for your business needs. If you want to give this product a try, click here for a very attractive offer I’ve found out for you. A bit of a more pricey product here. But you’re absolutely getting your money’s worth with this model. The warmer itself is no larger than a small microwave. That makes it incredibly easy to store. But don’t let the small size fool you. 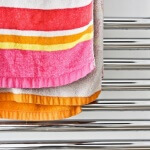 This UV towel warmer packs a huge punch. 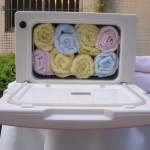 The warmer holds around 10 hand towels with ease. That is slightly larger than the normal washcloths that smaller heaters have a capacity for. If there was one drawback to this warmer, it’s that the mechanism does take a bit to kick in and warm towels. However, if you work in a salon, spa, or tattoo parlor and you turn on the machine when you come in in the morning, you’ll surely have steamy towels within about 90 minutes. It’s nothing that a bit of careful planning can’t handle! 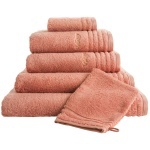 The 10 towel capacity more than makes up for the slightly longer heat-up period. 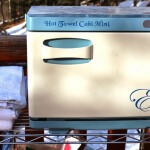 This mini hot towel cabinet is likely one of the best warmers on the market right now. Both in terms of quality and price. It’s considerably lower in cost than less impressive models will less features. Its sleek design will make a fine addition to any of your design scheme. Although small, it holds 12 regular sized manicure towels. The machine keeps towels at 160 degrees, the precise temperature for maximum comfort and hygiene. Some people argue that they want a towel holder to hold more towels. At a 12 towel capacity, this surely isn’t the largest model that you can buy. The problem with larger products though, is that they take up an often inconvenient amount of room. 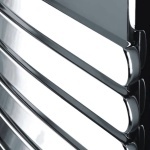 Additionally they can be an eyesore, unless you go for the higher end, stainless steel models. Don’t have the unlimited budget to dedicate to a high-end devices? But still have the need or desire to provide your clientele with a warm towel after their facial, pedicure, manicure, piercing, or tattoo? Then this one is a must! Because most of us don’t have the space for gigantic wall sized monstrosities. This is why I highly recommend you go after smaller towel heaters, the kind of compact and easy to afford solutions that are becoming so plentiful on the market today. Many of these options are “cabinet sized”, while others retain the same kind of ladder style look that their larger brethren in joy. 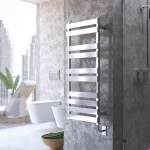 At the end of the day, these compact towel warmers are going to meet and exceed your expectations in exactly the same way the bigger options do. The first of the many big benefits you’re going to be able to enjoy is the free of available space. When you purchase a smaller warmer, it is a fact that you aren’t going to have to worry about wasting any floor space or wall space. This is an especially big benefit when you’re talking about upgrading smaller bathrooms with one of these options. Even though the overwhelming majority of most large format towel warmers aren’t exactly elephants, the truth of the matter is they take up a lot more space. Especially floor space if they are freestanding models. And that’s what most people cannot give up in their bathroom. This is why people go with wall-mounted options more often than not, but even then you might not have the space necessary to safely install one of these larger units. With smaller devices, you aren’t going to have to give up too much space to get the same kind of utility. Sure, they are still going to eat up a bit of floor space or wall space in your bathroom, but they are designed to be as minimalist and compact as can be. This opens up a lot of extra potential for those that are looking to add these into small bathrooms, but also helps people out when they are looking to add multiple small towel warmers to all of the bathrooms in their home. It’s obviously more advantageous to add four $250 smaller ones to each of your bathrooms than go with one $1000 regular warmer in one bathroom and leave the other three without. This shouldn’t be overlooked, either. As the technology gets better, those larger models are becoming less efficient and less necessary. 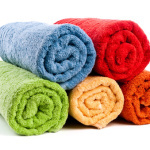 It is almost never a reason to have to warm six towels at once, and almost every single small warmer is going to be able to heat and dry up to three towels without any trouble at all. So not only are you going to be able to save quite a bit of space in your bathroom, but you’re also going to be able to save quite a bit of money without losing any real utility or functionality whatsoever. 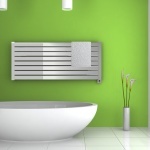 You want to make sure that you are spending money only on the best towel warmers available, and hopefully that’s exactly what we are going to be able to help you with. Many products on the market today aren’t just going to be able to warm dry towels, but are also going to be able to dry towels that you’ve already used after climbing out of the shower or bath. This means you need to look for products that are safe to use even when you aren’t monitoring them, the ones that have built-in shut off or timer technology. On top of that, you’ll want to make sure that these towel warmers are able to effortlessly dispose of the excess water that they are going to either steam out of or ring out of these towels, without you having to do any heavy lifting along the way. OK, you’ve read through to the end. Anyway, I hope that my short buying guide helped you in some ways. If you need further assistance in choosing a new product, let me know.